Ransomware attacks keep taking the world by surprise, as the latest widespread ransomware WannaCrypt0r (also known as WannaCrypt, WannaCry, or WCry) shows in a rather sad scenario, that affected tens of thousands of users, companies, and even hospitals, in over 90 countries. Despite us, as security experts, advocating for extra caution on the topic it is easier to pretend things like that will happen only to others and go on as before. Unpleasant as they are massive ransomware attacks have been expected to increase in both frequency and intensity for some time now. We are actually witnessing an entire cyber crime branch being built on this type of attacks, as they allow for millions of dollars to be raised from the victims with relative ease. 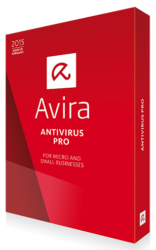 GET AVIRA ANTIVIRUS PROTECTION NOW!